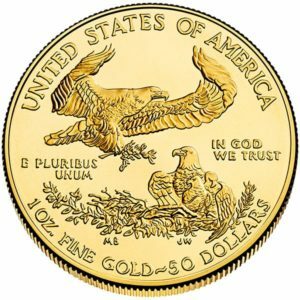 The American Eagle ½-Ounce Gold Coin represents a great investment opportunity, not to mention a stunning coin that you will love to own. This is by far one of the most popular gold bullion coins in the US, as well as internationally. It has been a top seller since 1986 and that is for a wide number of reasons – including the sheer beauty of the piece and its patriotic nature. This is a brilliant time to invest in this gold coin, not only to remind yourself of that patriotism but also to keep your money safe at a time when the economy is struggling. Investing in gold is often recommended during recessions and times of economic uncertainty, as it is always highly likely to keep its value. In fact, gold is one of the rare examples of an asset that can actually increase in value, even as the dollar falls! If you’re looking for a way to keep your money safe, then you might as well choose to invest in something that you’ll enjoy owning. This coin is just such a thing and in fact, you’ll likely find you can’t take your eyes off of it! The American Eagle ½-Ounce Gold Coin of course gets its name from the depiction of the American Eagle right on the front of the coin. You actually have two Eagles on this particular coin however, which are flying next to each other. One is in flight with its wings curling around in front of it, as though to slow its speed and lower its altitude. The other sits proudly in the bottom right of the image, just in front. The eagles together strike a very dynamic and imposing image and one that feels highly patriotic. In keeping with this patriotic feel are the words ‘United States of America’ and ‘In God We Trust’. There is also a little foliage and a branch creeping into the image, which gives it just a bit more visual interest. On the other side of the coin is an image of Lady Liberty, still in-keeping with that feeling of patriotism. This is the exact same image as that found on the famous $20 gold piece printed between 1907-1933. The image was designed by Augustus Saint-Gaudens and is now an iconic picture. She stands with her arms apart, walking forward as though toward the viewer and with lines radiating out from behind. The coin is, in short, beautiful and one that you will love to admire. This is one of the big advantages of investing in gold coins this way – you gain direct ownership over the assets that you have spent your hard-earned money on. That means you’re not owning those assets in an abstract sense – instead you physically get to hold the things you’ve bought and see them in your hand. That also means you don’t have to pay for the gold coins to be stored anywhere and it means that you can liquidate them at any time, however you see fit. This coin has become an absolute classic and it has been that way since it was first introduced in the US in 1986. The coin comes in four different sizes and this ½ ounce is one of the more popular options. It has seen a very minor redesign since 1992 however, when it started using Arabic Numerals instead of the previous Roman Numerals. The tender value of this coin is symbolic, as the American Eagle ½-Ounce Gold Coin fluctuates in accordance with the value of gold. That is to say that there is no single value that can be given to the coin. What we can say for certain though, is that it contains exactly one ounce of gold and is alloyed with a small amount of copper. With such a popular design, it should come as no surprise that a lot of these coins have been produced. In 2015 alone, there were 122,500 printed, which puts this coin far above even many of the other most popular prints. That means that it will feature a relatively premium over spot price, which is good news for those making an investment – especially first timers. This, along with the hard plastic tube that makes this coin so easy to store and transport, makes it incredibly popular as an investment choice. It can also be purchased in composite red boxes, which each contain around 500 copies of the coin. These boxes are also designed to stack easily and to transport without any damage. In short, this is one of THE absolute classic coins for investors and now is an excellent time to invest.